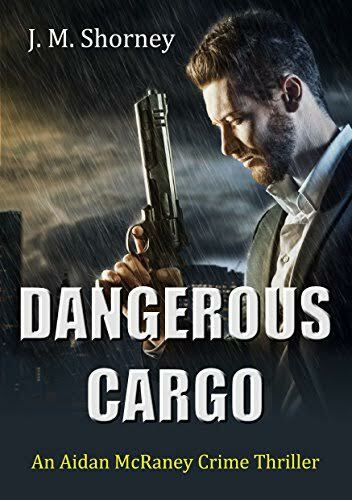 Aidan McRaney is trying to stay away from his shadier past in this James Bond style thriller, but the offer of fifteen thousand pounds from Agency boss Nick Lombardi is too good to pass up. Lombardi needs someone to infiltrate the lair of 'The Widow'. No agent has survived previous missions and Lombardi believes it's McRaney's knowledge of the criminal underworld that will give him the edge. An arms dealer, The Widow is in league with the L.A. Mafia and has bought a house on a remote island off the Cornish coast, far enough away from the mainland where the arms can be both smuggled and tested. When Don Giorgio Avonicci arrives, accompanied by his female bodyguard, McRaney finds it's not just the weapons being tested but his commitment to his wife in London. This is the fourth book in the Aidan McRaney series which began with his release from prison in the book Stalking Aidan.